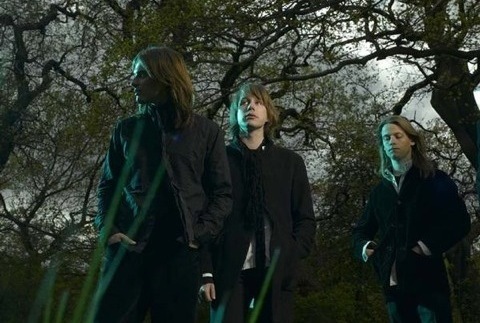 I've been a fan of Mew, a Danish Band that was awarded as Band of the Year on Danish Music Award in 2003, since they release "And The Glass Handed Kites" on 2006. I remember the first song that I listened from them is Zookeeper Boys. At the first time, it sounds really weird to me. I never heard a song like that before! In contrast with most male vocalist's voice that I know which always deep and heavy, Jonas Bjerre's voice is like someone who never reach puberty. He has unusually high voice that makes Mew's songs really recognizable. It seems very unlikely but what it seems like a very weird song turned out had take my heart. And then my journey as someone who really loves unique and weird song began! Ha ha ha. ^0*. "ada apa denganmu" was thought to be similar with this song. In my opinion, it's not plagiarism. It's just that the intro of those 2 songs give similar feel. I ended up recommend a lot of songs >///<. When I was a university student, Mew came to do live concert in Indonesia. Sadly, at that time I didn't have my own money and I don't want to give trouble to my parents concerning money so I couldn't go to watch them T^T. If you have time, please check their music!